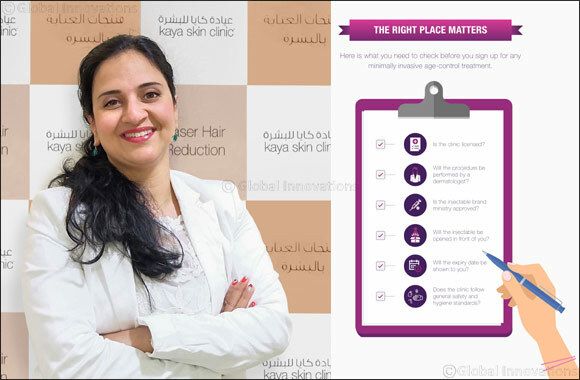 In 2017, the Ministry of Health and Prevention in UAE warned of a rise in unlicensed back-street beauticians offering cosmetic procedures for a fraction of the price of regulated clinics. Such illegal clinics were found to conceal patient medical reports in violation of the country’s Medical Liability Act. The warning was primarily issued because age control treatments like Botox and dermal fillers are specialised medical treatments that require the use of FDA-approved products and are to be performed only by highly trained and licenced dermatologists. Similarly, only a highly trained dermatologist will be able to help you get a perfect smile line. An experienced practitioner is almost an artist who can define your lip shape with just the right amount of filler. In the hands of a non-professional, too much filler can be added leading to your lips taking on an unnatural ‘trout pout’ or ‘duck lips’ appearance. In the case facial threads, when performed by someone who has not been expertly trained, you can end up with complications including visible knots and dimpling of the skin—which then again would need surgery to be corrected.